Low down payment, with a great rate, allows you a head start on your equity. HomeQuest Mortgage partners with the best wholesale lenders in the industry. This gives you a low down payment on an FHA loan. Grants of 2% available! An obvious choice if you are a top-tier borrower! Comprised of some of the best conventional rates and pricing in the industry, HomeQuest Mortgage Elite program allows you to close quickly. Eliminate monthly mortgage insurance and increase your buying power! Pay Advantage offers you one of the lowest monthly payments available with a low down payment. HomeQuest Mortgage, aggressive ARM pricing can provide a lower payment for you! Secure a competitive 5/1, 5/5, 7/1 or 10/1 low interest rate ARM. Elite High Balance offers some of the best conventional high balance rates and pricing if you top-tier clients. You’ll receive industry-leading turn times, direct access to underwriting, and award-winning technology with every loan. Need an ARM loan to accommodate non-conforming loan amounts if you are a top-tier borrower? The Elite High Balance 5/1 and 7/1 ARM products are great options. Don’t meet the Elite status? 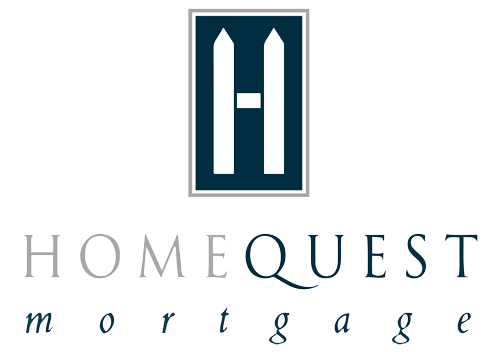 HomeQuest Mortgage offers some of the most competitive rates and close their High Balance loan in record time! Customize the perfect loan for your borrower without resetting the mortgage clock! Flex Term provides you with flexible options to select your amortization term. HomeQuest Mortgage makes your condo approvals quick and easy with our limited review process. All files receiving a limited review response in AUS “Automated Underwriting System” will only need a minimum evaluation by our condo department. Split 50 and Split 100 is a hybrid program combining a single-premium M.I. adjustment with the balance of the M.I. premium to be paid at a reduced monthly rate. You will benefit from a lower monthly M.I. payment, saving them hundreds of dollars every month while giving them a great low rate.